AIP online surveys is a professional online market research company. They pay their customers/members for sharing their opinions by participating in surveys. 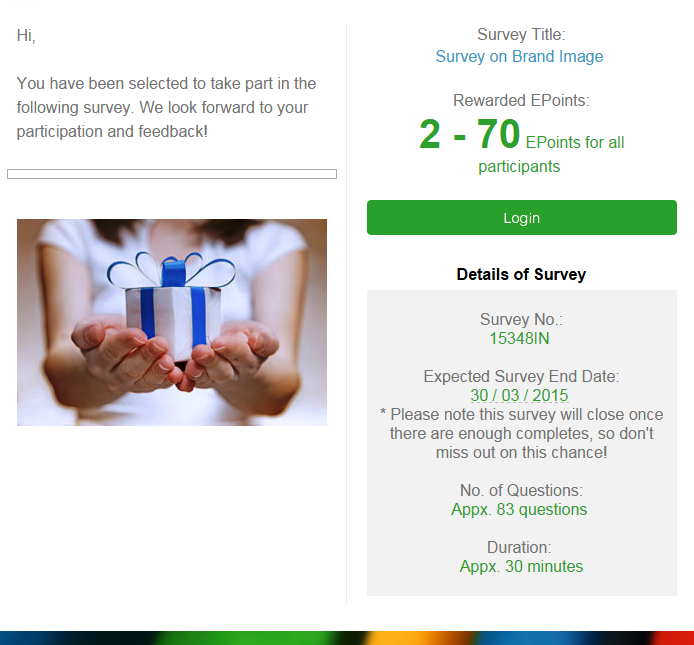 You will be rewarded with EPoints for each survey you complete, you can accumulate these EPoints and redeem the points to gift vouchers. Currently AIP is available for only Indian members. You must reside in India to access your account. You should be 16 years old or above. 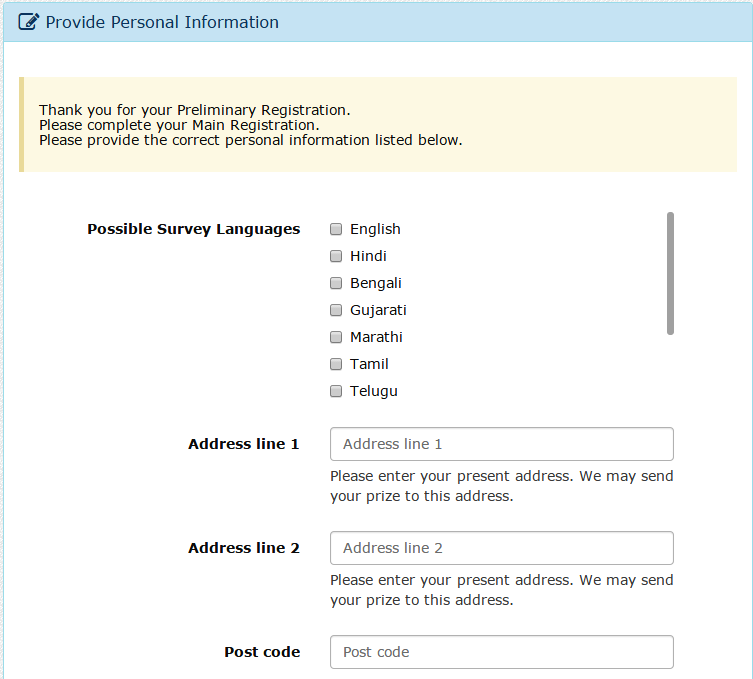 Surveys are available in most of the Indian language including Hindi, Tamil, Telugu, Marathi, Kannada, Bengali etc. But English is the primary requirement! 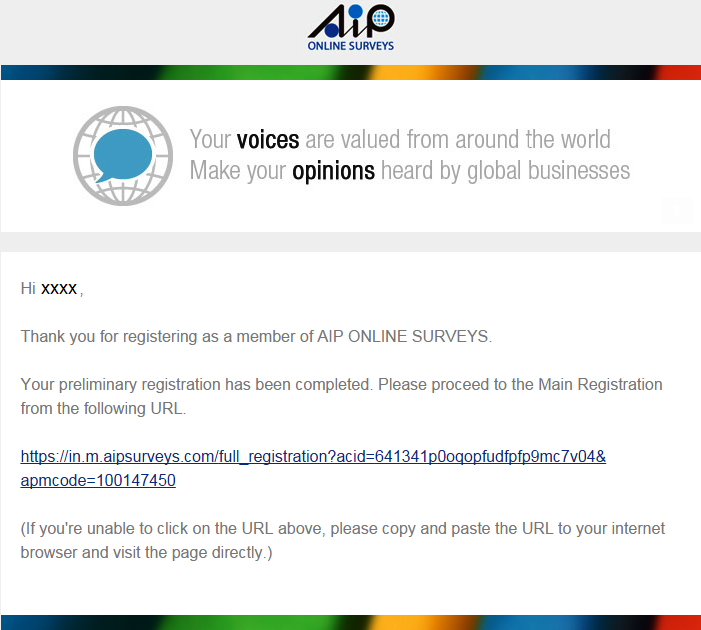 Click AIP online survey India to register. Provide your valid e-mail ID because you will get the survey invitations through e-mail. Choose your desired password, enter your name, gender and DOB. 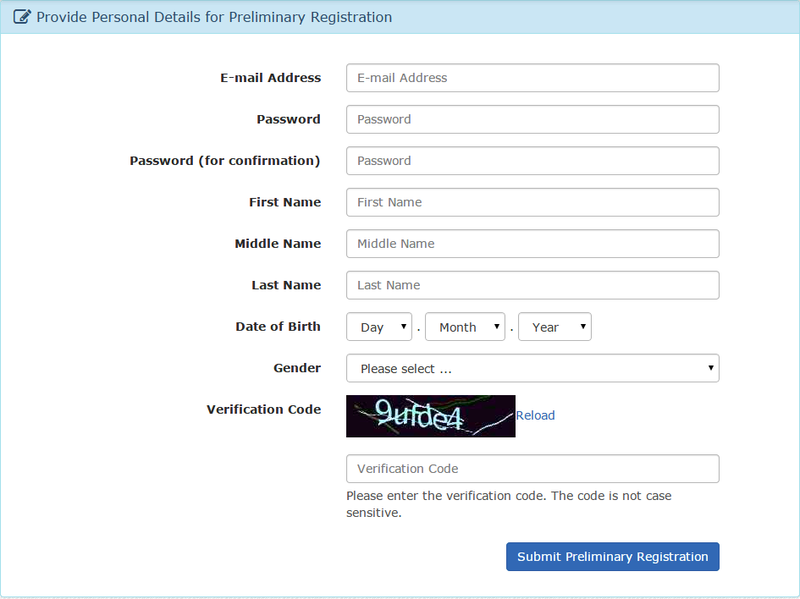 Enter the verification code and click submit registration. You should click the verification link sent to you through e-mail in order to activate your account. Once you click the link you will be taken to a page, where you will have to fill all your personal information to complete the registration process. Fill the required details correctly in the given space. And also select, whether you need a SMS remainder if any survey is available. Click finish, now you are registered to AIP online surveys India. Once you are registered to AIP online surveys India, log in to your account. Initially no paid surveys will be available. You will have to wait till you receive the survey invitation. To get surveys regularly and relevant to your field. You should complete your profile. 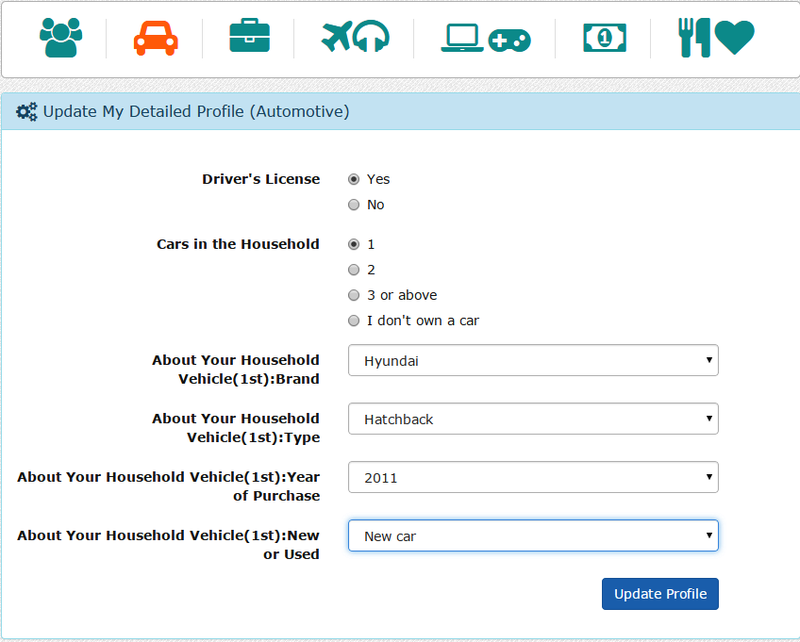 You will get chance to participate in surveys only if you update your profile. Click update detailed profile to start. You can see the different fields in the above image. You should update each and every field completely. Answer the question truly. You can see an example of updating profile in the above picture. 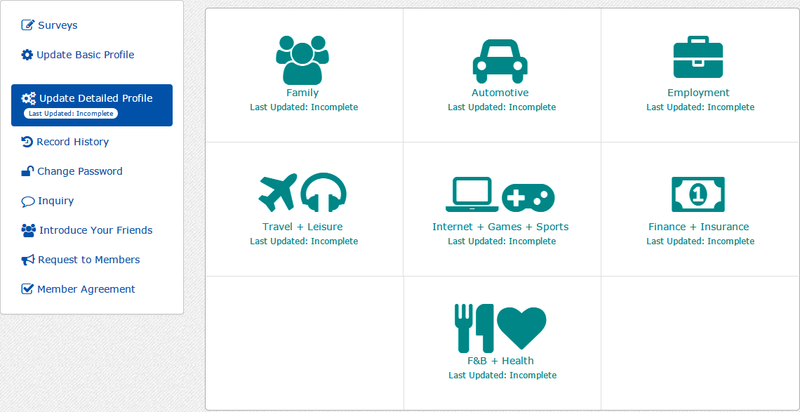 Click the each icon at the top, answer, and click update. Now your profile information is updated. Now wait till you get survey invitation through e-mail and you can also check you dashboard, if any new surveys are available. 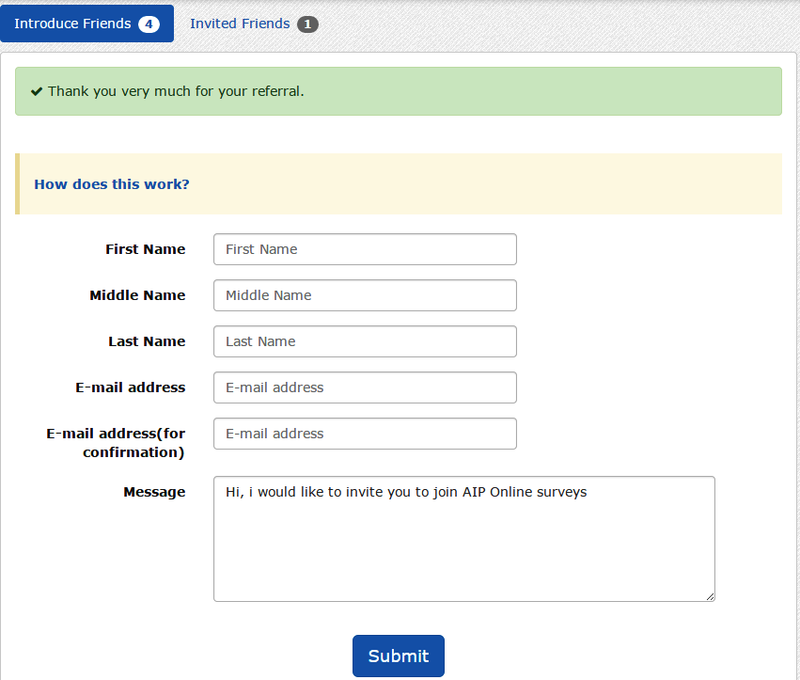 AIP online surveys India will send you survey invitation with the reward information as shown below. Click the link to start survey. Surveys will be so simple. It might be regarding work, cars, education, interest, hotels, travel etc…. A survey is given here for example. 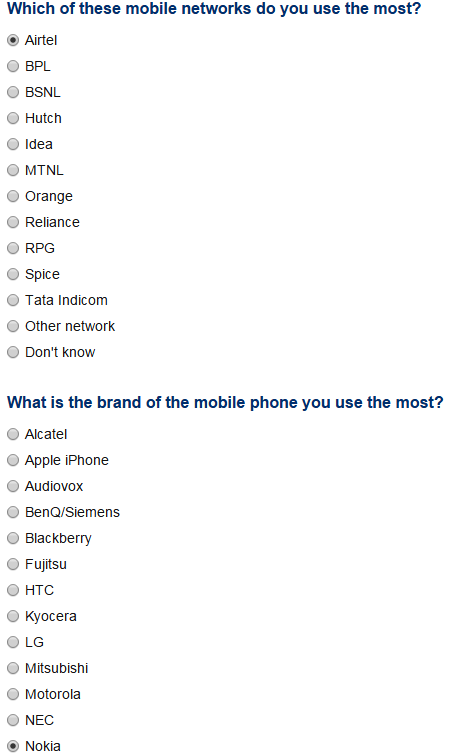 This survey is about mobile phones. You should choose the correct answers. This survey is a simple one. But in some of the surveys you will be tested by asking the same questions twice. If your answers are non-identical, you will not be paid. If you continue the same by answering in random your account will be cancelled and all your points will be reset to null. Answer all the questions and click finish survey. Your account will be automatically credited with the e-points. You can earn from 1 Epoints to 60 Epoints per survey. The pay rate for each survey depends on the length of the survey, survey type, field, etc. You can earn epoints by introducing your friends. To introduce, fill the form shown above and click submit. If your friend sign up through the e-mail link you will be paid. Once you gather 100 e-points you can redeem those point to e-gift voucher of flipkart or India times shopping. You can use this card when you shop online. So if you are shopping a ₹1000 product online, you can use this coupon to get 100 ₹discount. E-points can also redeemed to ₹300, ₹500, ₹1000 e-gift vouchers. Click AIP online survey India to start earning. If you want to get more survey opportunities with good reward join global test market the no.1 online survey panel. Also you can join clixsense which provides paid survey jobs, PTC jobs, mini-task jobs from one place. Tags: Earn gifts, e-vouchers & rewards by participating in AIP online surveys India.